Event organisation is hard enough at the best of times. There are so many considerations that need fulfilling before the event is even announced that even through a minefield of preparation, one simple outburst from the heavens can ruin everything! The weather is a factor we cannot control, especially when organising an event so far in advance. However, a heavy bout of rain can have detrimental effects on the entire outcome of the event, especially when they are free and locally organised. At the weekend GottaBe! 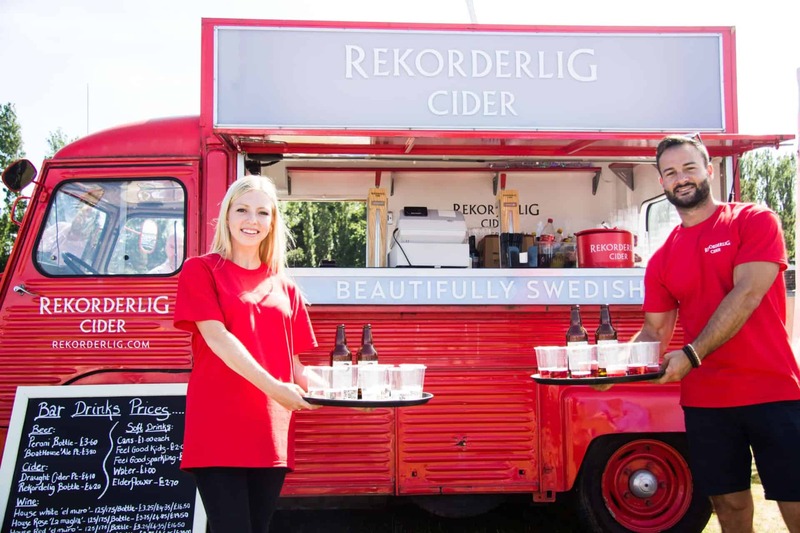 carried out a sampling activity on behalf of Rekorderlig Cider, at a Summer Fête organised by our client – Ideal Collection. Thankfully, we were blessed with a beautiful day of open blue skies, as the sun radiated across Chichester Marina and pulled in a huge crowd of family and friends. It was an extremely successful day with our Brand Ambassadors mingling with visitors, getting them to guess different flavours of Rekorderlig Cider through samples, before encouraging them to purchase bottles at a specially adapted Citroën van. Sam Lovell – Client Service Manager, GottaBe! Our Brand Ambassadors also carried out data capture, getting members of the public to write down their details for a competition to win a crate of Rekorderlig – as long as they guessed the flavours correctly. The two flavours being sampled were Passion Fruit and Strawberry & Lime. As the sun was out, it was a match made in heaven. The refreshingly crisp cider flavours matched with the suns illuminating glow, made it the perfect drink for all visitors. What’s more, the day was made even more memorable by the beaming smiles of our Brand Ambassadors handing out free samples. Lets face it, everyone love a free sip of alcohol!